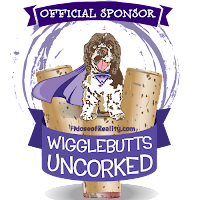 Dog people, stay with me; this is for YOU! Cat people, you stay too. Segregation and exclusion is just plain wrong! Plus I want your input! 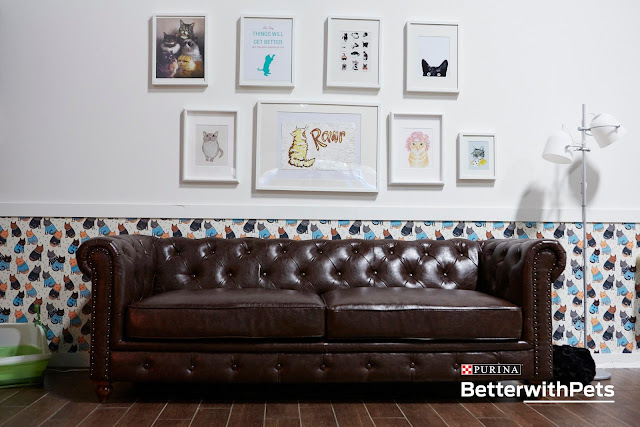 So last time we were together, I gave you an overview of the Purina® Better With Pets Summit that I attended earlier this month in Brooklyn, NY. 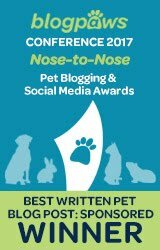 As a quick recap: After having been invited by Nestle Purina to attend, and some excessive celebration, I traveled to NYC to attend the day-long summit on November 3. At the summit I listened to/interacted with a whole bunch of brilliant, highly educated pet people tell interesting stories about how their research, experiences and innovative ideas are improving the emotional wellness of not only our pets, but all of us who love them. Me and the co-proprietor of Cybercat Exotics, a NJ-based cat rescue and talent agency. I forgot to ask the cats for their names. And - which brings me to the subject of today's post - I spent 30 minutes inside a room decorated for and full of incredibly social and loving, free roaming cats*. Dear Dog People: Let's talk about cats for a bit. But first, let me offer you an analogy: A cat is to a dog as a manual (stick shift) transmission is to a fully automatic. Both cats and dogs are pets, and both types of transmissions come with cars. But - as a person with experience driving both - tell me, who in the heck can just go out and drive a stick shift without learning and practicing a few times? NO ONE! Well, I will argue the same goes for cats! What I'm saying is, CATS ARE STICK SHIFTS AND DOGS ARE AUTOMATIC. 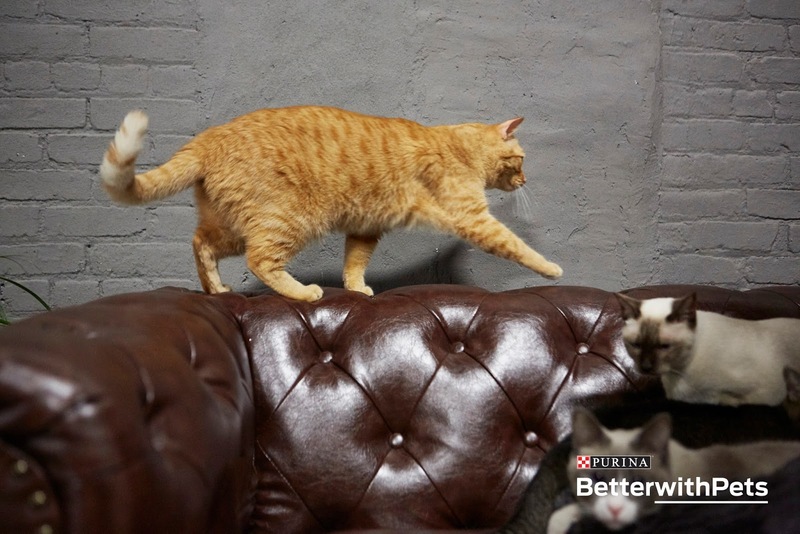 There's a learning curve with both, but cats require just a little more "coordination." A little more practice. And I promise, once you get them, you always will! And they are SO MUCH FUN to drive be around! Panel 1: An Evolving Relationship With Cats? 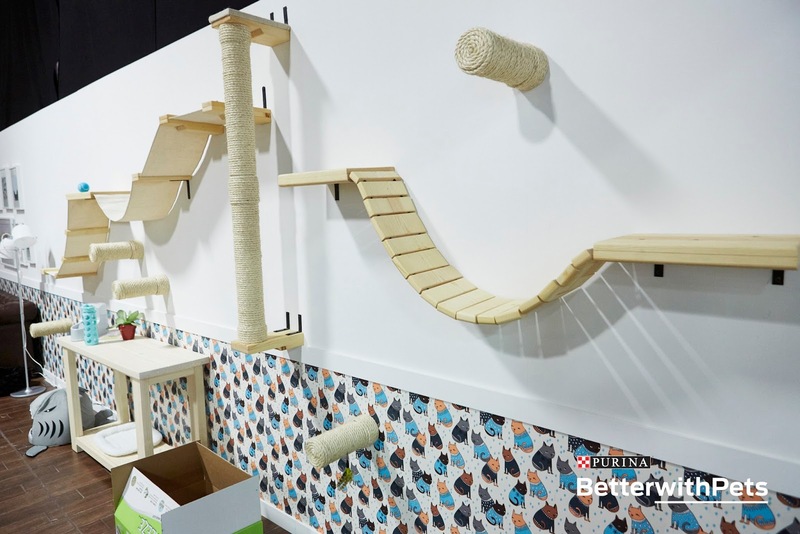 During the first of the three expert panel discussions, entitled An Evolving Relationship With Cats?, the focus was on the changing nature of our relationship with cats and what that might mean for a new generation of pet owners. What struck me the most during the discussion, and even more so after speaking one-on-one with panelist Christina Ha, co-founder of Meow Parlour, NY's first cat cafe, and spending quality time in the interactive cat room, was that cat cafes and shelter cat rooms are completely underutilized. But we can do something about that, right? Who's ready to go with me to a cat cafe? What do you mean you're not sure? You already see cats all day on social media and you can do that at the office? Oh wait, no! Silly me; you've got the wrong idea! Kitty ain't got time for social media. Also? Those are cat people. Pressing the kitty "clutch" and shooting pics at the same time. A cat cafe is a place where people go to chill out, with other people and REAL LIVE (not two-dimensional social media) cats! It's true! Imagine your local coffee shop, except without the serving counter (health regulations in the U.S. prohibit the preparation and selling of food and beverages on site with animals; however, one can purchase these items nearby and bring them into the cat cafe to consume), decorated with kitty-friendly furnishings and toys and most tellingly: occupied by plenty of free-roaming (probably adult**) cats! Where do the cats in the cat cafe come from? Do I bring my own? First of all, NO, you do not bring your own! Second of all, at least at the Meow Parlour in NY, according to Ha, the cats come from a local cat rescue in partnership with the cafe. 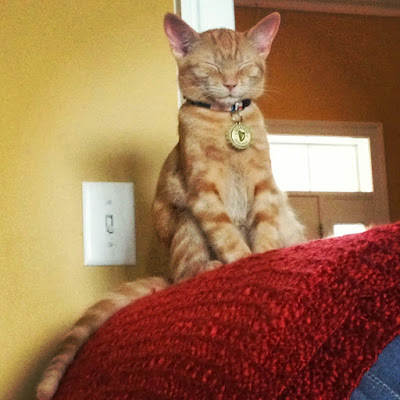 According to research (discussed on the panel), cats are most happy being with other cats, especially when they are in a stressful (e.g., shelter) environment, where they have little control. In fact, more timid shelter cats - who've previously been overlooked by potential adopters - after being placed in free-roaming group settings (like a cat cafe***), will gradually gain confidence, come out of their shells around people, and find their forever homes in no time! And you know what else? When one (say you or I) is at ease in the cat cafe environment? All those kitties are like the best natural chill pill after a long day that a person could possibly imagine! Syxx is chillin' not illin'. OK, so here we are, at the front door (probably glass, so you can see through it). Let's go in! These are cat people. Do not try this without certification. Also, put the phone down. There's plenty of time for that later. IMPORTANT! Before you do anything, stop and take it all in! Don't just go rushing over to the first cat you see. Cats, in fact, MUCH PREFER THAT YOU BE STILL AND ALLOW THEM TO COME TO YOU. A vertical kitty wonderland...just think how much floor space they saved! Kitty in the sky with cat grass. Did you notice the cat on the wall shelf? Good! It's OK, that's what the shelves are there for. Cats - as natural climbers - feel safe when they're ABOVE most everything else. But they always come down, eventually. And, don't worry, it won't be on top of your unsuspecting head. 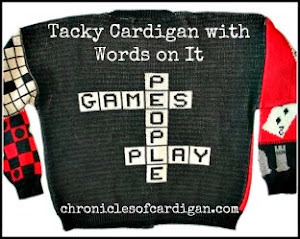 So, scope out a comfy couch or chair or beanbag, and settle in! Obviously, this picture was taken before the cats arrived. <> No one is going to rush you for your danish or other portable snack food (if you brought any in). Cats - being carnivores - do not care for these items. You will, in fact, be able to eat in peace. Jon Farleigh and Dewi tried to be like Bobby Flay O'Fish for 10 minutes. 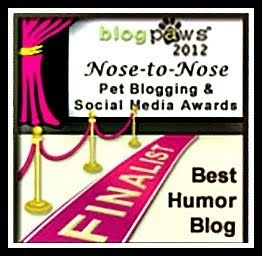 It was the worst 10 minutes - other than when the neuter drugs wore off - ever. So it's been five looong minutes, but zero kitties are within petting distance yet? Relax (like literally, sink into that couch and take a load off)! It'll happen! Cats sometimes squint when they're looking at people. This does not mean they have a speck of dust lodged in their eye. Or that they are giving you the stink-eye, are disinterested, or sizing you up for a meal. It actually means that the cat LIKES YOU. Squinty eye contact means kitty is relaxed and views you as non-threatening. (Big, wide eyes would be a problem, in comparison.) Feel free to go ahead and pet squinty-eyed kitty (if she's not already in your lap or rubbing all over you). And no worries, you don't need to squint back. Normal people eyes are OK (just don't hold contact any longer than you'd want a stranger to do to you)! Excuse me, Elizabeth, but I was just sitting here petting one kitty and now there are FOUR KITTIES surrounding me on the couch! Oh yay! That's because they ALL want to be your friend! ☺ Don't worry about trying to pet all of them, though, cats are content just hanging out nearby. You decide whether you want to visit with each kitty or not. Hey, wake up, you! No dozing 'til the end! Think you could get used to it? Maybe get on the floor and toss some toys around next time? Or even pick up a willing kitty and hold it a little (some cats love to be held, and others not; you just have to try them and see)? You know? If you like it here that much, you could always adopt your favorite and take her/him home! Or even better - take TWO home! Great job today, y'all! Let's do this again! There are so many things I learned from the summit that I've not covered. For more information, including expert bios, go here. * Most (if not all) of the cats in the kitty room belonged to NJ-based rescue, Cybercat Exotics. 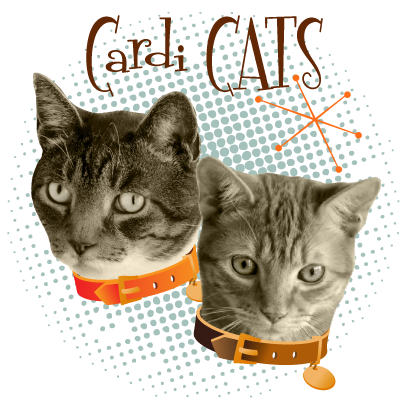 ** Adult cats are favored over kittens because the older cats - who might otherwise be looked over for adoption - are simply most in need of confidence-building and human socialization. Plus kittens fall asleep at the flit of a fly. And well, who wants to wake a sleeping kitten? *** Some animal shelters, such as my local Richmond SPCA, have free-roaming cat rooms with open visitation for potential adopters. Not only does it help make matches for the homeless animals, but it's wonderful for their socialization and reducing people stress. I should know! † Also possibly by men and older-than-millennials, but that's a topic for another day. Cat behavior facts discussed at the summit are in blue. Photo credit Purina (unless the photo is grainy, in which case, it's mine). For the latest updates, follow Purina on Facebook, Twitter and Instagram. So tell me, who'd be up for visiting a cat cafe in real life? Has anyone ever been to one? How about a free-roaming kitty room at a local animal shelter? If yes, how did it make you feel? 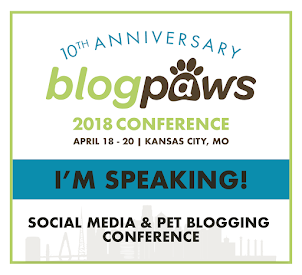 What a FANTASTIC deeper exploration of the Better With Pets summit! 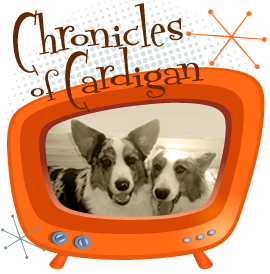 Differentiating dogs & cats by comparing them to transmissions? Wow! What a great way to make an important point. I would love to visit the Meow Parlour the next time I get to NYC. What a great post ;) Yes, I did know that purrs heal bone, but found that out only the other day and thought it fascinating. Nice photos, even if they're not yours, lol! We had a catroom at the shelter beginning in the 90s and love the cafe idea. Dogs, actually, prefer people to allow them to come up to them as well. Jana is correct. While Blueberry is okay with invading my space - for strangers, she prefers to approach them and then if she leans into them, that means it is okay for them to pat her on her side (not head). I had cats growing up - but they were outdoor cats (didn't live long, as you can imagine). I think it would be fun to have one - but I value breathing. I once volunteered at a city shelter and someone found a tiny little kitten (maybe 3 weeks) and they were just going to leave it in the cage. I took it home and bottle fed it for a couple of days (I was having breathing issues and wasn't sure how long I could keep it up). Thankfully, a friend of the family was a cat nut and she adopted her. Great post, and I love the cats are like 'stick shift' analogy. As slave to four felines... I have to agree! We have a cat cafe here. Still haven't been to it yet though. It's on my list. We have both dogs and cats! I definitely agree with you. They are two totally different creatures. I find that my cats can be harder to deal with because they don't care and training has to be completely on their terms, where as a dog wants to learn and do stuff with you. I do prefer my dogs but I love my cats, too. I love the idea of a cat cafe and I hope it helps more kitties get adopted. It sounds like a fun place to visit! I would love to go to a cat cafe! That summit sounds like it was fabulous as well. Wow! I learned so much about cats reading your post! Our family had a cat once when I was very little and then dogs ever since. There's just so much to know! Thanks for sharing! Woot, woot! The Seattle one is opening soon and I can't wait - it'll be great to just go and has fun and meet friends! 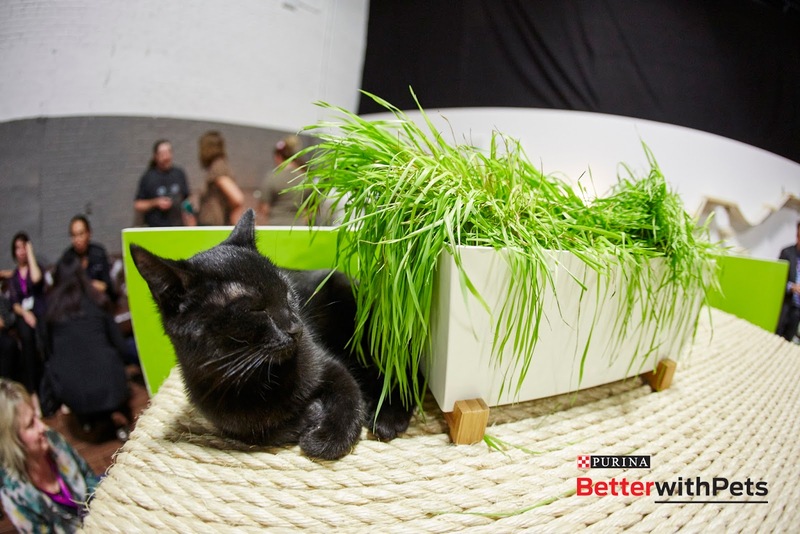 Da Purina #BetterWithPets event was so pawesome and we all learned so much! I love your analogy of cat and dogs with dogs being automatic and cats the stick shift. As an owner of both. Cats are so different and have a language all their own. It does take some time to learn it, but once you do the conversation is quite interesting. I just love this post. A cat cafe, how perfect is that. We don't have one here, but we do have a local shelter that has a free roaming house were you can sit and enjoy the company of cats "that come to you". It is a very pleasurable experience. What an entertaining and informative post. That space was awesome and so is the Cat Cafe. I love both cats and dogs and agree, cats are sometimes just a little more complicated to get going. 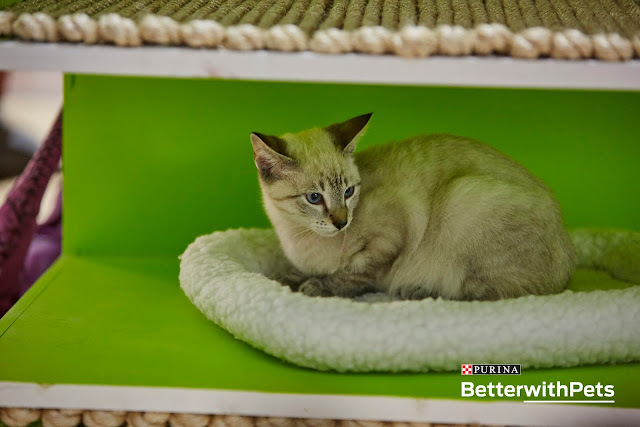 A shelter here has introduced a "Cat room" and Purina PawsWay has a cafe where you can bring your pets. Woo Hoo! thank you for rocking the Cat Cafe experience. My humans get all perturbed when friends call them "cat people" just because they have only cats. Fact is...my humans trained, showed Siberian Huskies for a long time...but Sibes and cats, well they don't mix well. So My Dad is less allergic to cats than to Sibes...now we are a cat family. Your review was totally pawsome. 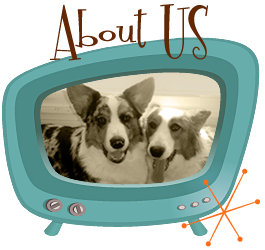 I've read a few articles on the Purina Better with Pets Summit and it sounds amazing! Maybe I will go one year to experience all the information first-hand! Excellent post! I did not realize there were cat cafes! How fun for the cats. I'm mainly a dog person with five Siberian Huskies, but we do have a feral we rehabilitated, vetted, and adopted (and who thinks he's a dog!) If Binx could travel (he doesn't like it having been feral and all), I'd certainly check one out! I would love to visit a cat cafe! In fact, I just found out that one recently opened near me. I can't wait to go. It will be fun to see it. I will make sure to blog about it for everyone. I think it could be fun to visit a cat cafe although I'm a little nervous around cats in general.